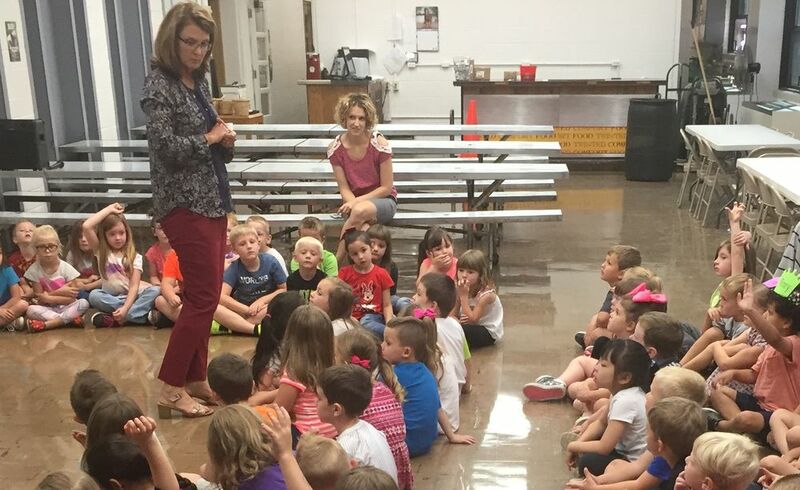 Shelbyville Schools LEADER, Superintendent Denise Bence, addressed the Main Street & K-Center students Tuesday, September 5th regarding KINDNESS which is the September Character Trait FOCUS. Her message began by having fun w/ me & making sure the students knew she was my boss (which their eyes got big) & that it was my birthday. The discussion began w/ what body language displays KINDNESS. It starts w/ the eyes. The eyes let others know you notice them, are listening & they are important while opening a comfortable communication channel. Most people smile from genuine eye contact naturally but the next step is a SMILE. A Smile is Contagious & so is Laughter. The students practiced this w/ peers and admitted it felt "weird." Mrs. Bence said that this is normal & the more we did it on a regular basis, the more natural it will feel. The students "practiced" w/ greetings that were appropriate and seemed sincere. 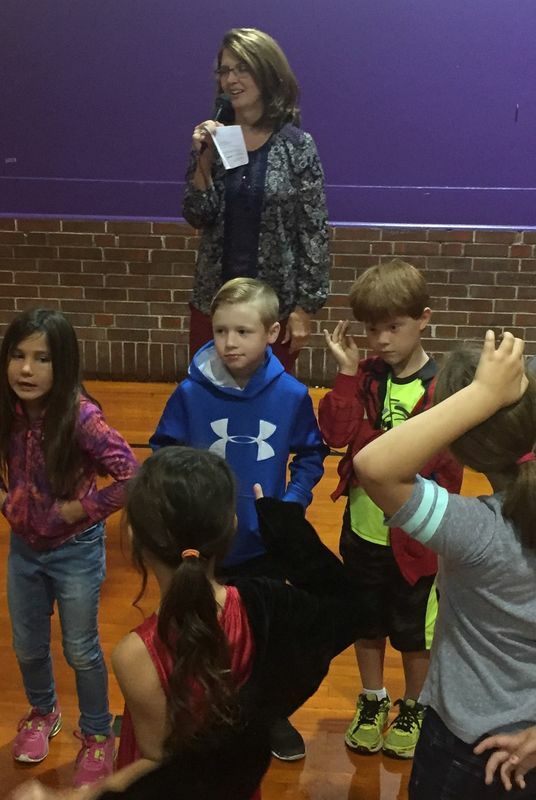 "We want to make others smile," said Mrs. Bence. The final activity asked students to think of a compliment & share w/ a peer "putting it all together: eye contact, smile, compliment." Compliments work best when they are specific and timely. You want to compliment people pretty immediately and make it specific. i.e. "I like your shirt" is nice but it doesn't have the effect that "I noticed how hard you worked on the Math challenge problem" or "I saw you inviting the new student to sit by you at lunch & I thought that was really cool" does. The session ended w/ a "challenge" to make others smile & practice being KIND & share examples w/ their class. Being KIND can have a "ripple effect" & at least a strong subgroup of the student population w/ student leaders can impact the culture of the whole school. We want them to know it & empower them to do it. The VISION is that it is the "norm" for students to be KIND @ Main Street School & K-Center & to not tolerate "bullying" so that the teachers and staff are not the only ones in the school committed to all students being safe & respected; the students are too and have a role.